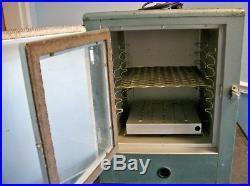 Precision Scientific Thelco Oven Model 31480 – Used – Vintage Stage Prop. Used; Some cosmetic wear and rust spots, but overall functional. 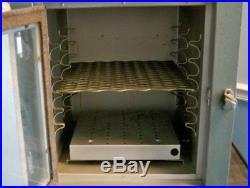 Precision Scientific Oven Model 31480 115V 75 Watts 65 AMPs Oven powers up and heats up, racks intact, missing bulb in bottom front. Item best described as pictured. Listed for JP by SR – Located at: WB 1025. 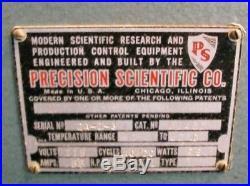 The item “Precision Scientific Thelco Oven Model 31480 Used Vintage Stage Prop” is in sale since Wednesday, January 21, 2015. 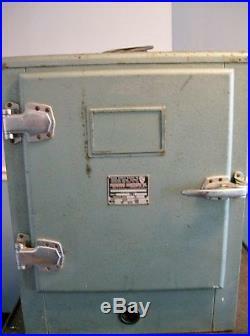 This item is in the category “Business & Industrial\Healthcare, Lab & Life Science\Lab Equipment\Incubators”. 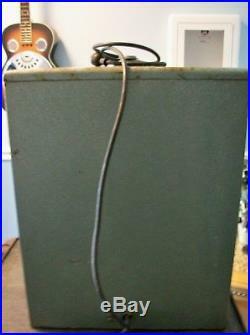 The seller is “mavin” and is located in Riceville, Tennessee. This item can be shipped worldwide.